It’s the most wonderful time of year! Traditions are what make this season so special, as are the memories we make. When everything gets so busy, it can be tough to remember to do all the things we love! 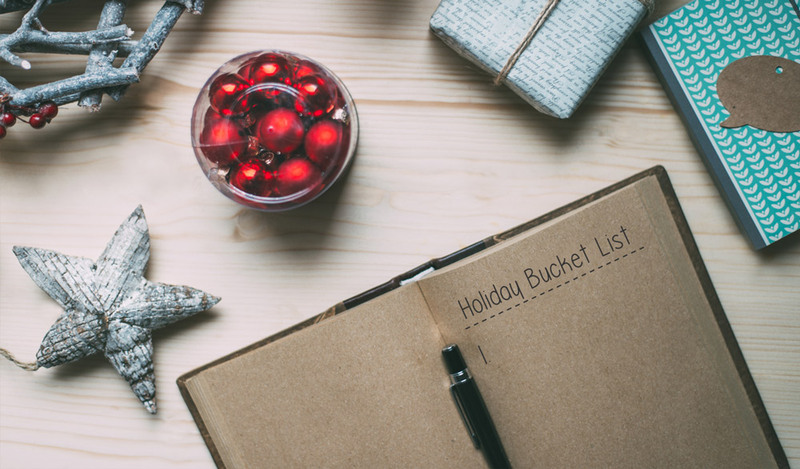 So that you don’t forget, we’ve pulled together a list that will help you get in the holiday spirit no matter your mood. Your holiday will be filled with memorable moments. Don’t forget to capture them all! Interesting list, however there are millions who do not live in a cold zone. I live in the subtropics and very little in your blog post relates to me. Remember the internet reaches people evrywhere, not just those in the USA. Good point, Pattie! Next time we’ll be sure into include a category for those in the subtropics who’re feeling hot. Plus, even though I’m in a cold zone, there was almost no snow this winter (not much shoveling – yay!). I do see what you are saying, though I did enjoy this bucket list.